Since ancient times, human beings have sought to discover healing properties in gemstones and minerals. A simple Google search will turn up countless results on the health benefits of silver, gold, and other precious metals. From the just-for-fun aspect of mood rings to amulets designed to ward off certain dangers, it’s certainly not hard to find jewelry purporting mystical powers. At any swap meet or jewelry mart, you’ll encounter sellers hawking stones that will supposedly change your life due to their healing properties. From Native American turquoise to alchemy miracles, there’s a long history of belief systems wrapped up in the healing powers of gems and metals. Indeed, royals originally wore gem-studded crowns not only as symbols of wealth and power, but also as a protection against ills and evil. So, what benefits, if any, can any jewelry truly hold? Studies are inconclusive and much is linked to the power of belief and mental suggestion, but there are distinct health benefits to wearing silver jewelry. Sterling silver has now surpassed gold in its popularity as a metal base for jewelry due to a combination of price, value, and appearance. But its benefits extend beyond affordability and aesthetics. 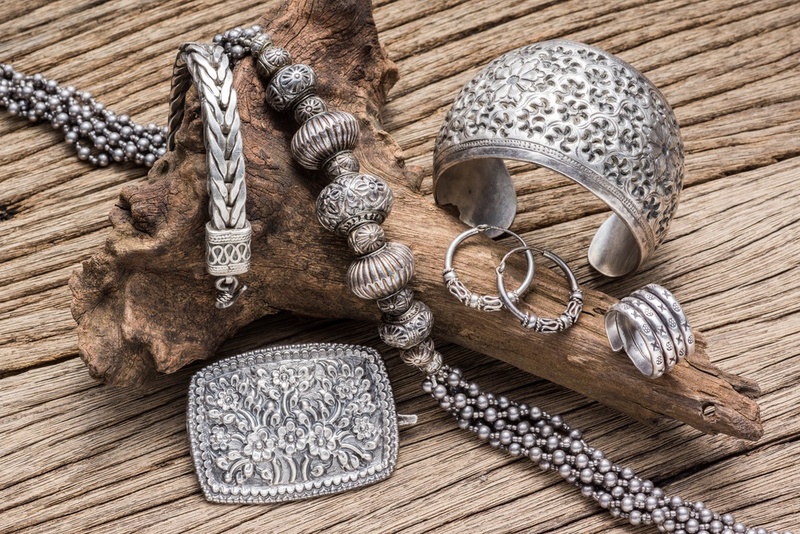 As a metal, silver has significant health benefits that have been used across cultures for centuries. Silver has a proven track record as a powerful antimicrobial agent fighting infections and aiding in cold and flu prevention, wound healing, and more. Silver also helps with internal heat regulation and circulation. Many have reported improvements in energy levels and balance in moods after wearing silver, as its natural properties may offset outside electrical disturbances, improve circulation and overall body temperature balance, and help maintain cleanliness and immunity. Silver has a long history in antibiotics and sterilization, with many women and men wearing silver jewelry to stave off infection, cold/flu symptoms, and any other virus, bacteria, etc. This health benefit is one of the reasons why so many manufacturers choose to make medical devices and tools out of silver. Silver also purportedly keeps our blood vessels elastic, which enables it to play a role in bone formation and healing, as well as skin maintenance and repair. Finally, silver has a directly tangible benefit in helping us to avoid potentially toxic substances — as a metal, silver reacts and turns color when it encounters many other chemicals that are known toxins. For instance, if your silver jewelry turns blue when you wear it for too long, this could indicate the presence of elevated levels of sodium in your body. Seeing a blue piece of silver jewelry could serve as a reminder to cut back on salty snacks! 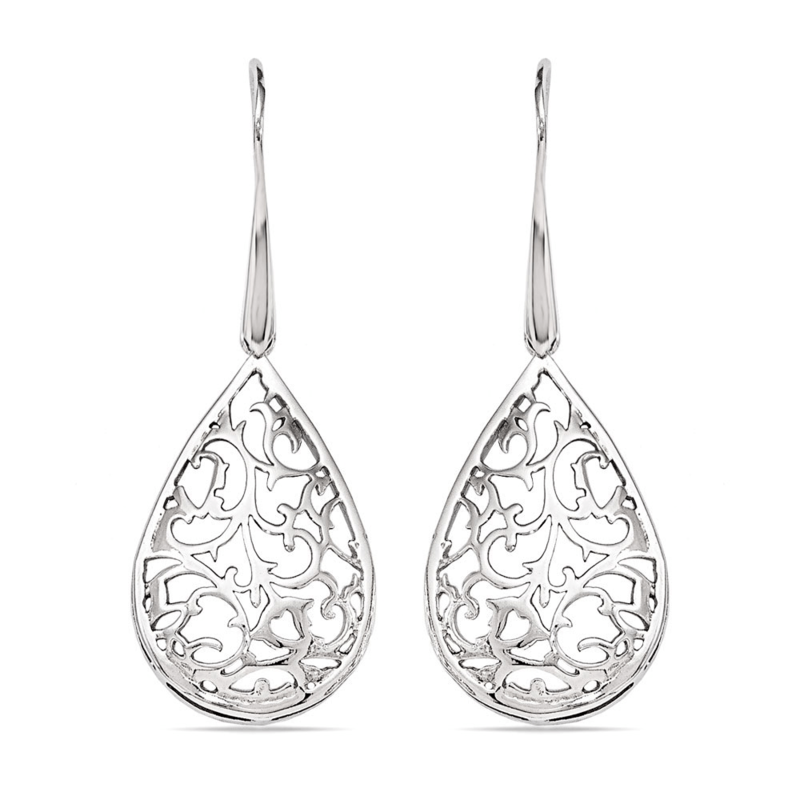 Some people even go beyond jewelry to enjoy the health benefits of silver. For example, some people wear silver-lined sleep masks to improve their night’s rest or silver-lined gloves to wear while typing on a laptop to disrupt the transmission of electronic signals from technology into the body. Fashion designers have even started to explore the concept of incorporating this precious metal into clothing materials so people can enjoy the many health benefits of silver on a daily basis. This may sound like a lot of mumbo jumbo to some, but silver has a distinctly scientific basis for its health benefits derived from its electrical and thermal conductivity. Positively-charged silver ions create a conductive field that reflects electromagnetic radiation away from the body, which stimulates the body’s natural conductivity and improves blood circulation, body temperature balance, and general well-being. Positively charged silver ions also bind to negatively charged oxygen receptors in bacteria, which is why silver can fight against harmful infection and disease. For those that are skeptical, consider that researchers at the University of Southampton have proven that wearing a specific type of silver ring can help alleviate some symptoms of arthritis in the hands. The results of this study revealed that wearing these specially designed silver splints helped reduce pain in addition to preventing hyperextension in the finger joints, which is common in those who suffer from rheumatoid arthritis. The researchers found that wearing these silver jewelry pieces also helped restore stability and range of motion in the inflamed joints. Even for those not willing to buy into the properties of silver as a metal, there is another way to reap health benefits from wearing silver jewelry. In our fast-paced culture, many are turning to meditation, yoga, mindfulness, and other calming techniques to reduce anxiety. Certain types of jewelry can also be worn to help prevent anxiety and re-center. Simple silver “worry jewelry” and spinner rings, which feature an outer band that spins freely around the inner ring, have been proven to have a calming effect that helps fight anxiety through repetitive motion. Those suffering from anxiety can quietly spin their silver ring to help combat symptoms even when in a public, crowded space. Try different pieces of jewelry until you find one that works for you. For example, if a spinner ring does not help, try a silver bangle or necklace instead. What works for one person will not work for everyone. Reach for your jewelry before your anxiety kicks in. It’s best to turn to your silver jewelry as soon as you start feeling tightness in your muscles or an increase in your heart rate instead of waiting for the anxiety symptoms to become more severe. This way, you may be able to stop the symptoms from worsening before they appear. Choose a piece of jewelry you like.This piece may serve a special purpose, but that doesn’t mean it can’t be stylish. Choose a piece that you would wear even if you weren’t struggling with anxiety so it complements the rest of your wardrobe. Keep these tips in mind so you can maximize the anxiety-relieving properties of your silver jewelry. One brief word of warning — though silver has many proven (and some unproven) health benefits, there are those who are allergic to silver. For these individuals, wearing silver can have the opposite effect, causing skin irritation and discoloration. You may notice flaky, scaly, or red skin in the area that came into contact with the silver jewelry. Some people even notice a slight discoloration to their skin as a result of the contact. 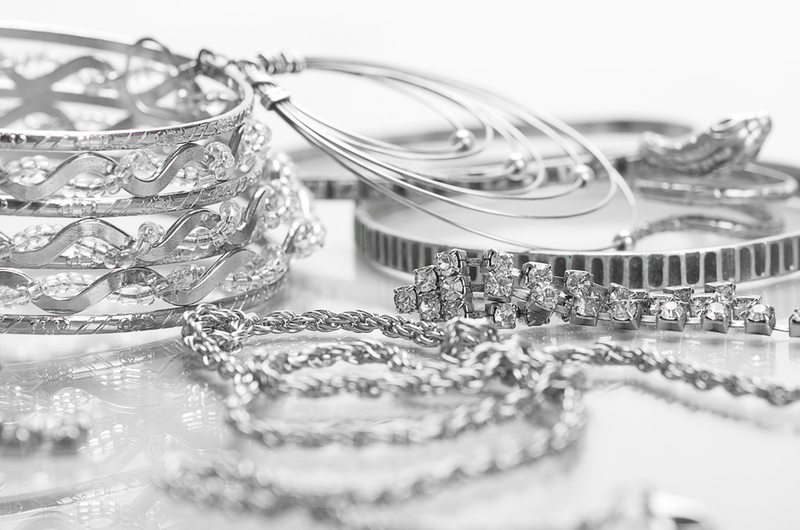 If you suffer from a silver allergy, you’ll want to look elsewhere for health benefits in jewelry. Furthermore, silver is not nearly as durable as other precious metals. It tarnishes fairly quickly, which means you will need to clean it on a regular basis in order to keep it in wearable condition and continue to reap the rewards of wearing this jewelry. Whether you believe wholeheartedly in all of silver’s reported benefits or merely enjoy the look of silver and hope it may help with anxiety or another ailment on a smaller scale, there’s no denying that wearing silver jewelry is, potentially, an aesthetically-pleasing way to calm your mind and increase your overall well-being. Deck yourself in head-to-toe silver jewelry so you can enjoy the many benefits of wearing silver bracelets, necklaces, rings, earrings, and more!